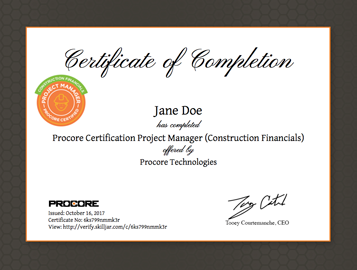 The "Procore Certification for Project Managers (Construction Financials)" course is designed to specifically train project manager and project engineers on how to most effectively use the Procore's construction management software platform. Learn the best practices of how to use each Financial tool such as the Budget, Prime Contract, and Commitments tools by going through our self-paced learning modules, which include training videos, interactive workflow diagrams, and quizzes. 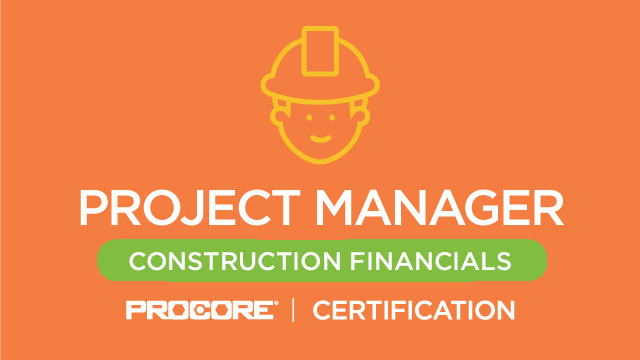 Earn a "Procore Certified: Project Manager (Financial Management)" certificate upon completion of this self-paced training course. 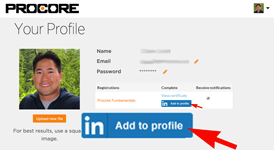 Support Documentation - View tutorials, FAQs, interactive workflow diagrams, best practices, and more.